Obituary for Joyce M (Alie) Hanks | Boucher Funeral Home, Inc.
Joyce M. (Alie) Hanks, 62, of Gardner, died peacefully Tuesday, January 15, 2019 in Baystate Medical Center of Springfield, surrounded by her family. Joyce was born in Gardner on September 21, 1956, the daughter of the James and Ruth (Nasiatka) Alie of Otter River. She graduated from Narragansett Regional High School of Baldwinville with the Class of 1974. Joyce was the Office Manager of Goguen Transportation of Gardner for the past 21 years. She was a member of St. Martin’s Church of Baldwinville. 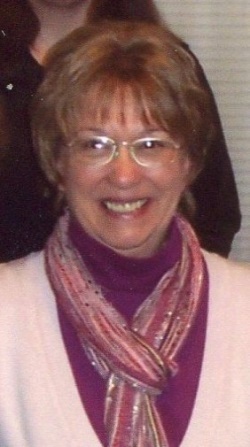 Joyce enjoyed cooking, 4 wheeling, and trips to Alexandria Bay, NY. She was a scratch ticket fanatic and loved spending time at the casino. Joyce most enjoyed spending time with her family. Besides her parents, she leaves her husband of 11 years, Mark C. Hanks of Gardner; step-daughter, Nicole Weinheimer and her husband Chad of Barre; brother, James Alie and his wife Debbie of Gardner; sisters, Joanne Goguen and her husband Clayton of Gardner, and Jackie Johnson and her husband Ric Tanzi of Templeton; step-grandchildren, Mia and Mac Weinheimer; nieces, Laura and Lesley Goguen, and Cheyenne Alie; nephews, Joshua Johnson and his significant other Ryan Lawrence, and Corey Johnson and his significant other Vanessa Boudreau; great-nephews, Jack, Jace and Joey Johnson, and Jordan and Jaxson Barnicle; and several cousins. Joyce was predeceased by her great-niece, Jaylin Johnson. Funeral Services will be held Thursday, January 24th from the Boucher Funeral Home, Inc., 110 Nichols Street, Gardner with a Mass at 11:00 a.m. in St. Martin’s Church, 248 State Road, Baldwinville. Burial will be held at a later date in St. Joseph’s Cemetery, Gardner. Calling hours will be held Wednesday, January 23rd from 4:00 p.m. to 7:00 p.m. in the funeral home. Memorial contributions may be made to the American Cancer Society/Gardner Relay for Life, 43 Nagog Park, Suite 110, Acton, MA 01720 or to the American SIDS Institute, 528 Raven Way, Naples, FL 34110. Please reference in memory of Joyce M. Hanks.